TIGERLIM.COM: Who Use Nissan Juke??? Are you drive Nissan Juke ka?? 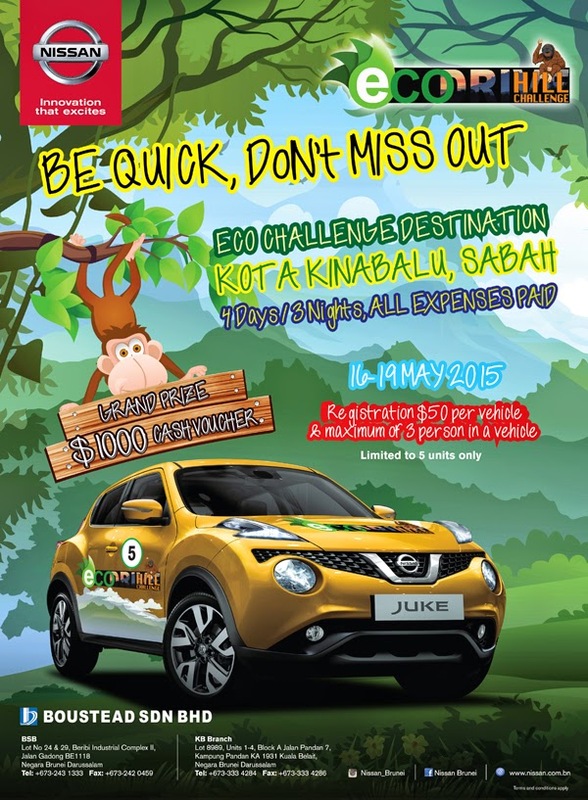 Eh like that you better don't miss this loh come fast fast enroll this Eco Drive Hill Challenge to KK, 4D3N eat, sleep, fuel all paid. Registration $50.00 one car maximum 3 person. Last year I follow them go Kuching and it was fun this year to back again go KK speak true true one lah no follow rugi lah! And if you win the challenge winner got B$1000.00 cash voucher some more... this type of good lobang where can find oh!!! So now there are 5 more for Juke owner don't miss it!! !